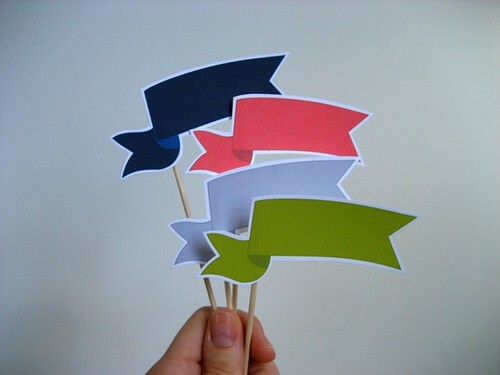 cake toppers | Hip Hip Hooray! 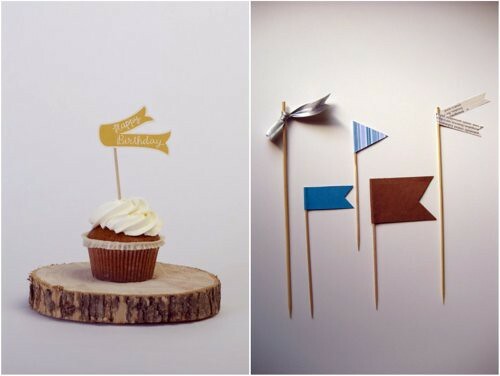 We love these cute cake toppers from Etsy shop Ready Go. They’re especially perfect for those of us who may need help adverting attention away from a hack frosting job. Those are too cute! And I am no stranger to hack frosting jobs. I JUST ordered a bunting from this store yesterday..that is too funny! Thank you so much for the feature! I love your blog… so adorable!